Two-wheel extravaganza Saturday Style Ride in Zurich has but two requirements: the ability to ride a bike and bucket loads of flair. 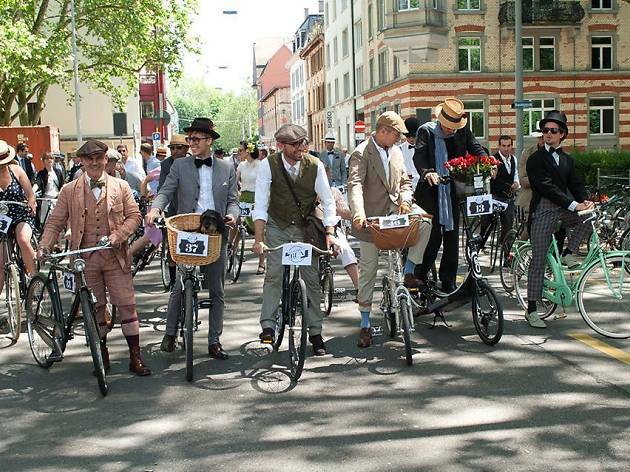 You’ll want to get your glad rags on come Saturday Style Ride in June, or risk being shown up by the sassy hoards making their way through central Zurich by bike. 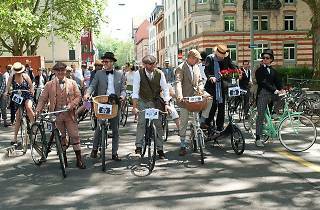 The chic event, which was founded in 2011 by style guru Jeroen van Roijen to bring together people who love bikes and fashion, attracts vintage fans riding retro bikes, as well as modern dandies and freaky individualists. Anyone can participate, It’s free to register and there are no rules – but the more extraordinary you make your look, the more likely you are to win a prize from sponsors Hendrick’s, Samsung, Gant, Oris and Segmüller Collection. Style Ride doesn’t take itself seriously, and a happy face will shine as well as a creative outfit. The 13- kilometre tour through central Zurich takes around two hours, starting at Restaurant Loft Five on Europaallee and finishing at Restaurant Carlton on Paradeplatz, where the winners will be announced.